These men’s backpacking boots offer protection and durability on the trail. The high-performance leather of this version of the Saga GTX offers the function of traditional leather boots without the standard weight and bulk. Solid hiking boots are a must for any backpacker or camper, and this pair promises miles of trails. These boots from SGX are available on Vasque for $239.99. This lightweight rain shell weighs in at a mere 5.6 ounces, and is one of the newest Advanced Projects from Mission Workshop. Waterproof, windproof, and stretchable, this jacket is built to last for years, whether your outdoor adventure’s weather is rain, wind, or shine. Available from Mission Workshop for $475. This new line of base layers from Craft released Fall 2018. Each piece features Fuseknit material, a soft and stretchy fabric designed for comfort and warmth while running, cycling, hiking, or exercising in cool to cold temperatures. There’s a whole line available of tops and bottoms, but these ling johns make an excellent base layer for fall adventuring. They’re available from CraftSports for $39.99 a pair. Featuring four large external pockets, as well as various 20,000K waterproofing and breathability, this jacket is designed to hold everything you need to make field photography a breeze, even when the weather turns sour. Features include a lens filter holder, wallet for memory cards, lens wipe, and film and battery pouch. But regardless of whether or not you like shooting, this jacket is a solid outer layer for the rapidly-changing weather of the season. 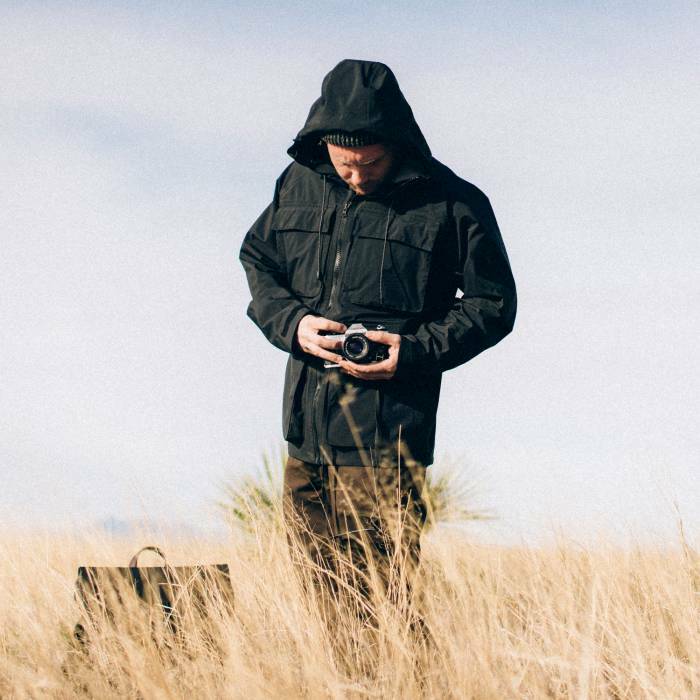 The Langley Field Photography Jacket is available on Kickstarter for a minimum pledge of $310 USD. Rounding out this week’s gear is a more casual pair of boots from Iron x Resin. When your camping is closer to tailgating, or you’re looking for something that will transfer easily from the trails to the taproom, these leather motorcycle boots offer durable streetwear style for the urban explorer. They’re available on Ridgemont Outfitters for a $295.